Sedimentary layers of European history: The ensemble performs its own interpretations of Serbian dirges and war songs from the First World War. 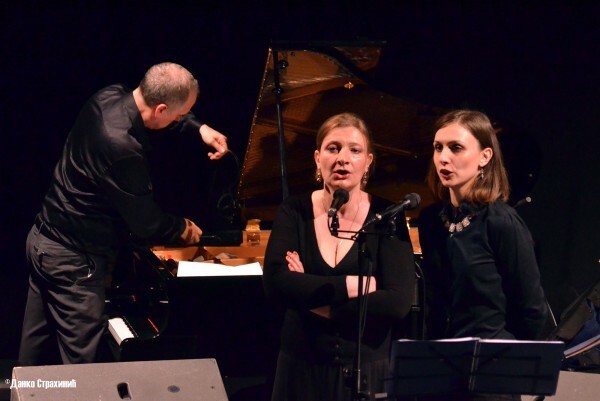 The Serbian vocal tradition with its characteristic hypnotic dissonances is represented by the outstanding guest soloists Svetlana Spajić and Dragana Tomić, along with Obrad Milić, singer, performer and instrumentalist playing the traditional Gusla and Dipla instruments. Musical remembrance and electro-acoustic sound research: The composition draws on Vietnamese revolutionary songs from the time of the anti-colonial independence movement and anti-US war songs. As part of “Singing the War,” Rayess Bek is conducting a weeklong workshop for musicians, tinkerers, comedians and artists who will form ranks as the Future War Orchestra. They will write a composition that imagines the soundscape of a future war. The orchestra will perform the composition on the final day of the festival.